What is the SUM Function? The SUM function is categorized under Math and Trigonometry functionsFunctionsList of the most important Excel functions for financial analysts. This cheat sheet covers 100s of functions that are critical to know as an Excel analyst. The function will sum up cells that are supplied as multiple arguments. 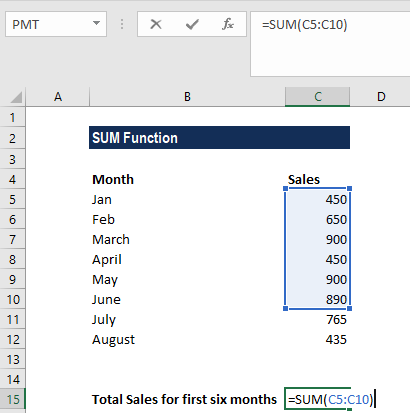 It is the most popular and widely used function in Excel. 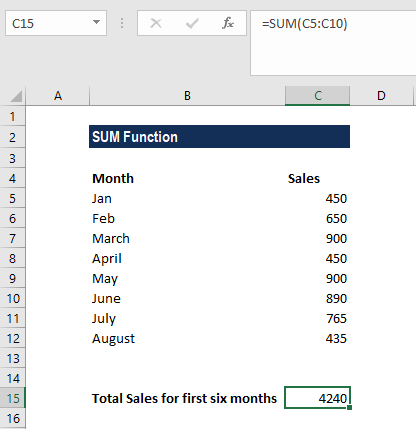 SUM helps users perform a quick summation of specified cells in MS Excel. For example, we are given the cost of 100 items bought for an event. We can use the function to find out the total cost of the event. Number1 (required argument) – It is the first item that we wish to sum. Number2 (required argument) – It is the second item that we wish to sum. Number3 (optional argument) – It is the third item that we wish to sum. The function sums values supplied as arguments (up to 255 arguments). Arguments can be supplied as numbers, cell references, ranges, arrays, constants, and the results of other formulas or functions. 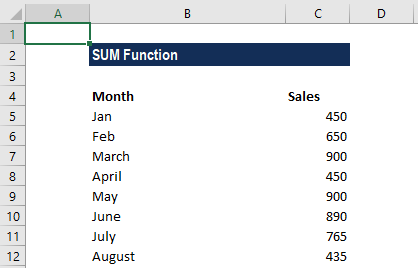 How to use the SUM Function in Excel? #VALUE! error – Occurs when the criteria provided is a text string that is more than 255 characters long. The easiest way to apply the function is to use We can simply select a cell next to the numbers that we wish to add and click on AutoSum on the Home tab. We can then press the Enter key and the SUM formula is automatically inserted. 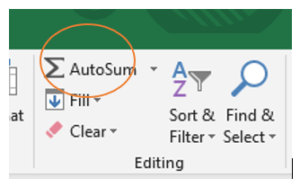 The AutoSum feature not only enters a SUM formula but also selects the most likely range of cells that we wish to add up.